Ken Pfaff started the family business out of his home, which was incorporated in 1987. 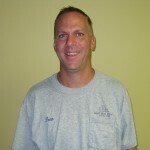 Today, his seven–person staff includes and Estimator/Manager, Master Carpenters & Finishers, Certified Solar Installers, Carpenter Helpers and an Administrative Assistant. This well-established company is dedicated to its community, and to providing work of unmatched excellence no matter what size the job. Their fine craftsmanship has been featured nationally on both the Discovery Channel and the Home & Garden Channel. Ken Pfaff and Company also support their local community by volunteering with youth clubs and donating to organizations such as Operation Santa and the Special Olympics. Pfaff Brothers Construction is fully equipped to offer a full line of Subcontractors, and also provides Professional Assitance to help ease the financial burden on homeowners. Our professionals will also help you with the paperwork you need to take advantage of certain tax incentives and product warranty information. We'd love to help you make your home everything it can be! Contact us today to learn more. 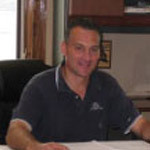 Ken is the President of Pfaff Brothers Construction, Inc. which has been a successful business since 1983. Ken was born and raised in Glenolden, Pennsylvania, and still lives there today with his wife and 2 daughters. He attended Interboro High School and the Aston Vocational Technical School which he graduated at the top of his class. 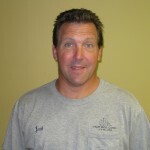 Joe is a founding member of Pfaff Brothers Construction and has been with the company for over 26 years. Joe was born and raised in Glenolden, Pennsylvania. He attended Interboro High School and Aston Vocational Technical School for vocational training in carpentry where he graduated at the top of his class. 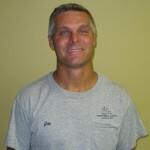 Jack Pfaff has been part of Pfaff Brothers Construction since the beginning in 1983. He is married with four children, lives in Glenolden where he grew up. Jack attended St. George School, Interboro High School, and Aston Vo-Tech for carpentry where he proudly won the Carpenter of the Year award. 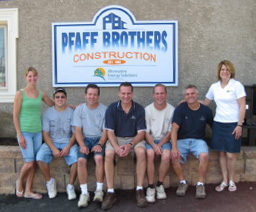 Fran is the third brother to join and establish Pfaff Brothers Construction. Fran was born and raised and still resides in Glenolden where he attended St. George Grade School and Interboro High School. While attending Interboro, Fran also attended Aston Vocational School where he excelled in carpentry. Along with his other duties, Fran is known as our Finish Carpenter. Joann has been married to Ken for 30 years and they have 2 daughters.Â Joann is a graduate of Sharon Hill High School and immediately upon graduation, started her career in general office work.Â When Ken started the business, it came natural to Joann to jump right in and start working the office end of the business. 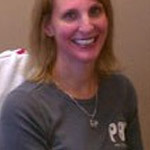 Ruth is married with 5 children.Â She has been working for Pfaff Brothers Construction for almost twenty years.Â Ruth is a graduate of Interboro High School and is the youngest sibling of nine in the Pfaff family.Â Ruth is a key employee in our accounts payable department, and her talents are many. Our years of hands-on work get helped us hone our craftsmanship throughout the generations. We think that communication and trust are essential when it comes to selecting a household remodeling business in Minneapolis. The staff members at SCC are highly engaged with our buyers during every stage with the renovation process. From the first meeting where our style experts create your plan till the final bit of dust is usually cleared away, we consistently keep you up-to-date on our development to assure that your remodeling eye-sight is being turned into reality. In the event you dream it for your restroom, kitchen or home, each of our dedicated home remodeling specialists can help. There's a reason they mentioned the kitchen is the heart of your property. Even if you don't cook, is actually likely the room where you gather with family and friends. It might additionally serve as your home office and also having a kitchen that is both functional and appealing may well be high on your priority record. If you plan to sell your home soon, having a great kitchen is definitely even more important. HGTV says the kitchen can be the deciding factor in several home sales and for those who will be remodeling prior to locating a property on the market, the networking recommends aiming for a seventy percent return on your renovation investment. While a creative kitchen redesign can let you dream an individual big, be aware that not every little thing sold as an upgrade is actually necessarily an improvement. In fact , listed below are ten kitchen remodel concepts from which you may want to steer clear. Little kitchen remodeling is a sport all by itself. With huge kitchen spaces you enjoy selected freedoms that you do not have along with smaller spaces--room for more counter tops area, appliances, and a cooking area island. Except for anomalies such as a home theater, the kitchen is the most expensive room in the house to remodel, on a square foot by sq foot basis. It employs that the less square feet you actually remodel, the less your overall remodel cost will be. In addition, smaller kitchen spaces are more ergonomically efficient. With a smaller kitchen triangle--your movement area between stove, sink, and also refrigerator--you have less thrown away movements. Smaller kitchen remodeling is a video game all by itself. With significant kitchen spaces you enjoy certain freedoms that you do not have having smaller spaces--room for more countertop area, appliances, and a kitchen area island. Except for anomalies similar to a home theater, the kitchen is the most pricey room in the house to remodel, for a square foot by square foot basis. It follows that the less square feet you remodel, the less your current remodel cost will be. Likewise, smaller kitchen spaces tend to be more ergonomically efficient. With a tighter kitchen triangle--your movement location between stove, sink, in addition to refrigerator--you have less thrown away movements. There's a reason they are saying the kitchen is the heart of your residence. Even if you don't cook, they have likely the room where you obtain with family and friends. It might also serve as your home office as well as having a kitchen that is each functional and appealing is probably high on your priority listing. If you plan to sell your home in the future, having a great kitchen is usually even more important. HGTV says the home can be the deciding factor in quite a few home sales and for those that will be remodeling prior to locating a property on the market, the network recommends aiming for a 70 percent return on your renovation investment decision. While a creative kitchen redesign can let you dream you big, be aware that not almost everything sold as an upgrade is actually necessarily an improvement. In fact , listed here are ten kitchen remodel thoughts from which you may want to steer clear. The years of hands-on work get helped us hone our craftsmanship throughout the generations. We believe that communication and believe in are essential when it comes to selecting a household remodeling business in Minneapolis. The staff members at SCC are highly engaged with our clients during every stage on the renovation process. From the very first meeting where our layout experts create your plan until the final bit of dust is usually cleared away, we continually keep you up-to-date on our progress to assure that your remodeling vision is being turned into reality. In the event you dream it for your toilet, kitchen or home, the dedicated home remodeling gurus can help. Modest kitchen remodeling is a sport all by itself. With substantial kitchen spaces you enjoy selected freedoms that you do not have together with smaller spaces--room for more kitchen counter area, appliances, and a cooking area island. Except for anomalies like a home theater, the kitchen is the most expensive room in the house to remodel, with a square foot by sq . foot basis. It follows that the less square feet anyone remodel, the less your present remodel cost will be. Also, smaller kitchen spaces are definitely more ergonomically efficient. With a tight kitchen triangle--your movement region between stove, sink, in addition to refrigerator--you have less squandered movements. The years of hands-on work possess helped us hone all of our craftsmanship throughout the generations. We think that communication and trust are essential when it comes to selecting a house remodeling business in Minneapolis. 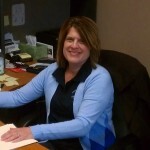 The staff members at SCC are highly engaged with our customers during every stage from the renovation process. From the 1st meeting where our style experts create your plan until the final bit of dust is cleared away, we constantly keep you up-to-date on our advancement to assure that your remodeling vision is being turned into reality. Should you dream it for your bath, kitchen or home, our own dedicated home remodeling specialists can help. There's a reason many state the kitchen is the heart of your home. Even if you don't cook, they have likely the room where you accumulate with family and friends. It might additionally serve as your home office in addition to having a kitchen that is each functional and appealing may perhaps be high on your priority checklist. If you plan to sell your home quite soon, having a great kitchen will be even more important. HGTV says the cooking area can be the deciding factor in a lot of home sales and for people that will be remodeling prior to placing property on the market, the community recommends aiming for a seventy percent return on your renovation investment decision. While a creative kitchen upgrade can let you dream anyone big, be aware that not every thing sold as an upgrade will be necessarily an improvement. In fact , listed below are ten kitchen remodel concepts from which you may want to steer clear.